Unfortunately, in the United States, whether it’s skill or chance doesn’t matter much. Poker, with high stakes tournaments, is claimed by many to be a game of skill - many of the top players regularly out-play their competition. However, chance is certainly involved. Online poker, once incredibly popular, has been pushed out by regulation. 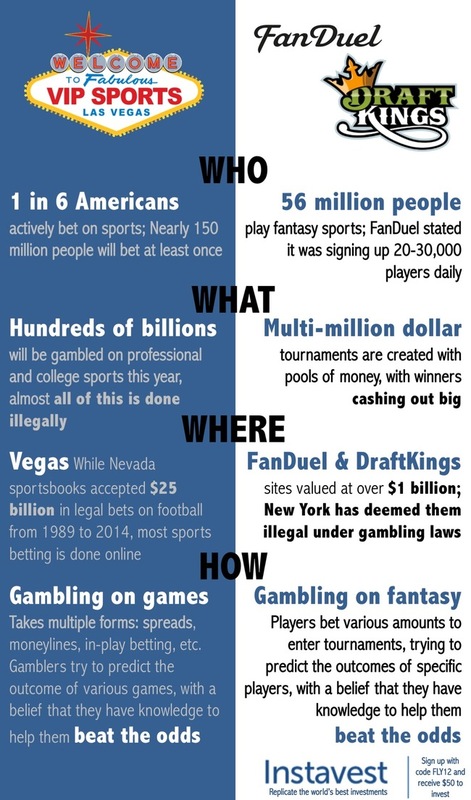 We’ve laid out a comparison below - Daily Fantasy Sports sites have exploded in popularity and might even be taking market share away from typical sports betting outlets. At the end of the day, both sports betting and daily fantasy are just trying to beat the odds.